Since I started working Online all the way back in 2012 I have used many different Tools and Resources to Power my Online Business. Some have been good, some have been bad… and some have just plain sucked. Luckily over the years I have found a core group of tools that I stick with and I use all the time, simply because they are well supported and work as described. So I thought it would be useful to compile a List of all these Tools and Resources in one post so they will hopefully save you some time (and money) by avoiding all the “shiny objects” and instead go straight for the tools that will actually help you run your business. I’ve used Namecheap to register my Domains since day one and I’m very happy with them. There’s always discount promotions going on and I like their user interface, it makes it very easy to manage all my domains. 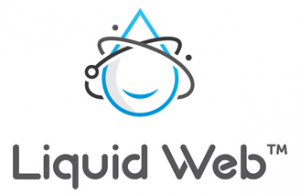 I went through 2 other Web Hosts in the beginning but I found my home at Liquid Web and I’ve been a customer of theirs since 2013. They have great Live Chat Support and it’s easy to upgrade or downgrade your server based on how busy your sites are. I’ve been with Optimize Press since 2012 and it’s a great WordPress Theme that can create all your Sales Funnels, Blog, Members Area etc. It’s a one time fee with an annual Support and Updates License if you want to continue getting the latest updates after 12 months. It’s very well supported so I have no problem paying a nominal fee to keep it running smooth each year. Convertri is a Fully Hosted Funnel Builder and I love using it! It’s pages load blisteringly fast thanks to their huge content delivery network (CDN) and I know it’s creators Andy and Neil personally so I can vouch for the quality of the platform. It comes with a Free Trial and I highly recommend. I use it for all my new funnels and have been keeping Optimize Press just for my Blog and Members Areas since it launched. This is my favorite shopping cart by far as there are No Ongoing Fees once you invest in the platform. Usually with a cart you would pay 5% (or more) of each sale that you make. As you can imagine this quickly adds up, especially if you sell higher priced products. But with Thrive Cart there are no fees so your profit per sale is a lot higher. I’ve been using ClickBank more and more lately and I really love how they process all the payments for me and wire my profit direct to my bank account each week. They take care of all VAT and State Taxes and pay affiliates automatically which is another huge plus. They have been around over 20 years so you know you are in safe hands with them. JVZoo is another cart that I’ve been using for a long, long time and it allows you to get up and running with no upfront fees (although they do take 5% of all sales you make) They are ever evolving and adding new features based on their users feedback and I’ve found them very good to deal with anytime I’ve had a problem or question over the years. I use Get Response to send my Emails and have been with them since 2013. I really like their Automation Features which allow me to free up a lot of time and have systems in place that take care of a lot of my email marketing for me. They are relatively inexpensive and you can get started on a small plan for just a few bucks per month. Although Optimize Press, the theme that I use for my Members Areas, has it’s own membership plugin I use Insta Member on all my sites. Again this is another tool I have been using for a long time and it’s been running all my memberships for me since 2013. What I like about it is there are regular updates and new features released and it’s Customer Support is second to none. 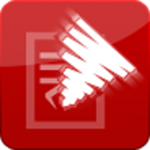 I’m good friends with the creator of Spin Rewriter and so know first hand how awesome this content creation tool is. It’s especially useful for creating unique articles for your blog and even though Aaron has a funny accent I would not hold that against him. This is a high quality software and is seen as the leader in it’s industry for a very good reason. I became a member of this PLR Site back when I first started and I still use it on a regular basis. It’s an ever growing site of Private Label Rights material and is a great place to find products you can use as Bonuses or even find an eBook that you can learn about a new topic from. There are different membership levels and each one gives you access to different grades of content. I have the Lifetime Membership which gives me access to the Highest Quality Products they have on the site. I’ve been using Vimeo Pro to host and power my videos since 2016 and I’m very happy with them. They give you unlimited bandwidth for a set annual fee which is really good value and they have some awesome security features to keep your videos safe online. Another thing I like about them is how fast videos on Vimeo load with little lag or buffering issues. No fancy video player needed here as Convertri has it’s own in-built player which is better than most of the premium players you see in the market. The same goes for Optimize Press, it has it’s own player and it works perfectly fine so if you use either of these tools you do not need anything extra. They have everything included for you. At less than 20 bucks per year for the premium version of this Video Recorder it has to be one of my best finds ever. I have purchased a few quality video software over the years, including Camtasia, but I really love Screencase O Matic. You can Record, Edit and 1-Click Upload to YouTube and Vimeo. I’ve been a happy customer since 2015 and have no plans to leave anytime soon. I use Link Supercharger to manage all my links. It’s a very simple yet effective software as I can login to it’s Admin Area and manage all the links on all my sites from one place. You can cloak your links too if you prefer and a few other extra things but I mainly use it to redirect links and have been using it since 2012. It’s simple, it’s good and it just plain works. I have been with Webinar Jam since 2016 after doing a lot of research on which webinar platform would be right for me. I’m glad to say I picked the right one as it’s always kept running smooth and has regular new features and updates. I’ve also found their support team to be very good and quick to respond to any emails I have sent their way. This is another site I have used since I started my business to find Virtual Staff and Outsourcers, specifically from the Philippines. It’s a huge site and when you post a job you will have a lot of applicants very quickly. I’ve found some great staff who have gone on to be good friends of mine from this site and it’s the only one I use when I need some extra help. I like using this mind mapping app as I have it on both my iPhone and my Computers and everything syncs up together. So if I have an idea for something while away from work I can create a quick mind map on my phone and then when I go back to work it is waiting for me on my computer. I use Asana daily to manage my projects and it’s one of those tools I would not like to lose. I have the Free Version and it does everything I want and more. A really great project management app that will keep you and your team on track and making progress on all your different tasks. I have a paid DropBox plan of about 20 bucks per month and I think it’s well worth it as I have it installed on all my computers. So I have everything backed up in the cloud and everything is synced so if I change a file on one computer it is also updated on the my other one. I used the Free Version for a long time but I’m happy to pay for the extra features and storage that I get with the premium plan. I’ve been with ZenDesk since 2012 and it’s a fantastic Customer Support software. It makes it very easy to stay organized and make sure customers are well looked after. I’m lucky I’m on one of their older legacy plans so it’s very cheap but even their newer plans are affordable at the entry level and I highly recommend them. I create any miscellaneous graphics I need with my own Easy Graphics Wizard. 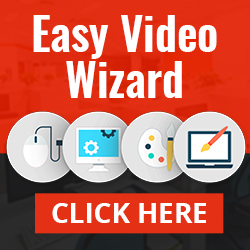 It’s a large suite of graphics software that allow you to create everything you need in one place. I know I’m biased but I really like using it because it’s very drag and drop friendly and although I have zero design skills I can always edit one of the Ready Made Templates and come up with a design that fits my needs. Affiliate Builder is the software I use to power all the affiliate tools on my product JV Pages. I use it to display all my Email Swipes, Banners and other tools I give to affiliates. What I like about it is that with 1-Click an affiliate can brand all the promo tools with their affiliate link and although it is a WordPress Plugin the Affiliate Tool Widgets it creates can be used on any kind of website. I’ve been using CBAM a lot since I’ve put my products on sale on ClickBank. This is a simple software that allows you to create Custom Affiliate Redirect URLs for all your CB products and sell all your products from within one CB Account. Because with CB you get only 1 HopLink Target URL per Account but by using CBAM you can essentially create as many Custom Affiliate URLs as you like. Now of course this is not an exhaustive list and there are other tools and services I use like Skype, FB Messenger, Cloudflare etc. but I believe what I outline above are the ones that are the most helpful to my business. As you have read I have been using many of these tools since 2012-13 so you know they are quality tools and resources that are well supported by their creators and genuinely help me. I tend to stay away from “shiny objects” or products that are “here today, gone tomorrow” and that’s why I like to stay with my core set of tools. At the end of the day I am running a business so I need to be able to rely on the software and tools I use in my day to day work. I’m sure you have your own List of Favorite Tools and Resources that you use, feel free to share them in the Comments below – I’d love to hear from you. 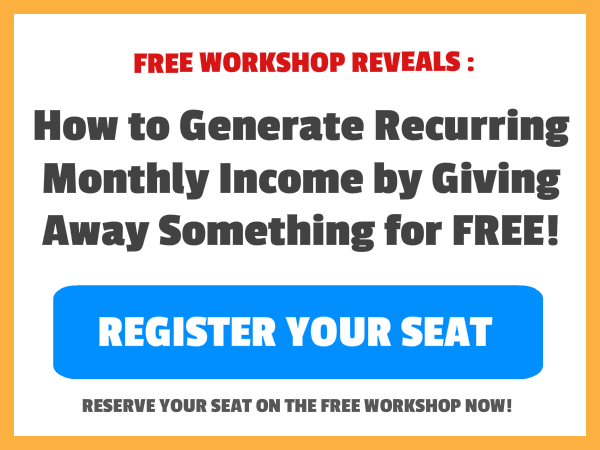 Free Training Invite : If you enjoyed this post and would like to learn more about me and how I make a full time living online then Click Here to Attend My Free Training Workshop! 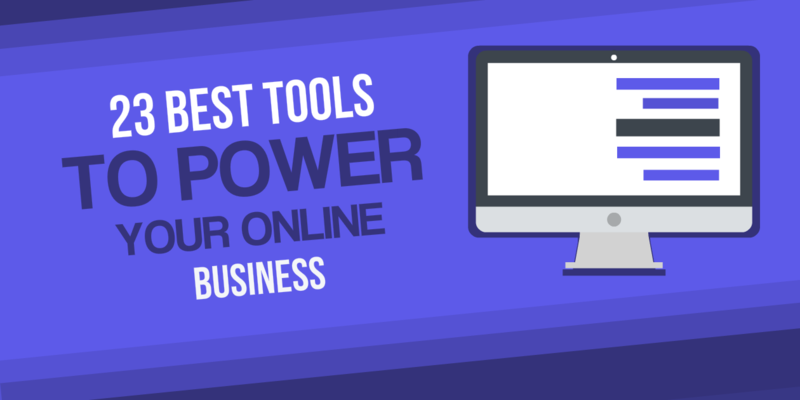 2 replies to "23 Best Tools and Resources to Power Your Online Business"
Excellent list of resources. I use many of them and there are a few I may have to give a go. Allan Martin recently posted…Are You Overloaded? Thanks Allan, yes there are some good ones there. When making this list I was surprised to see how long I was using some of these tools – but I guess it’s a case if you find something that works stick with it!